“SPYDER VENOM” will treat up to 360 Litres in one easy application as it remains in suspension in the fuel. 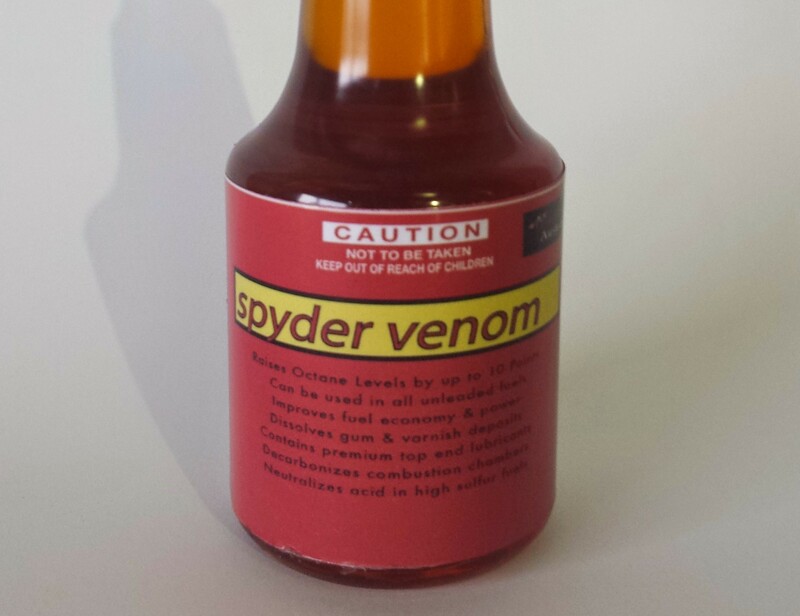 "Spyder Venom" is a premium blend formulated exclusively for us; specifically to protect & enhance your engine's performance. 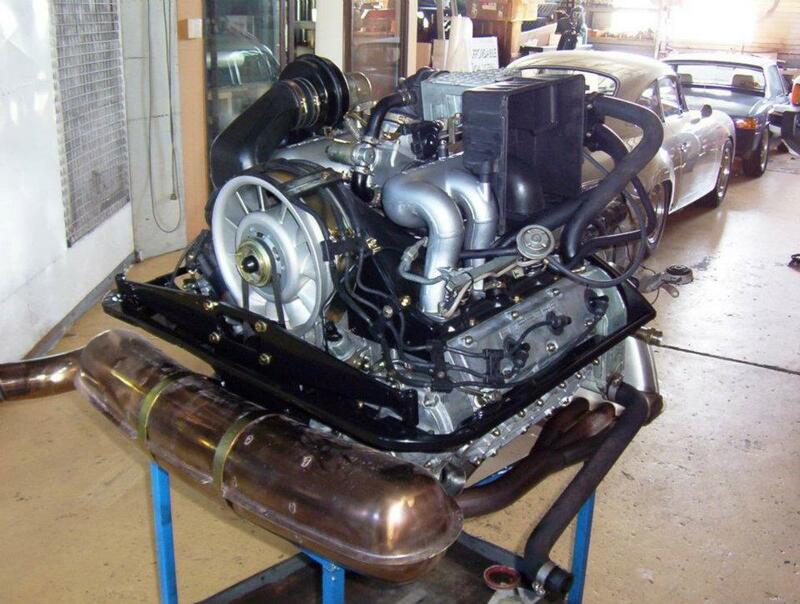 Primarily designed to protect your older Porsche, it can be used in all petrol Makes & Models with the same outstanding results. 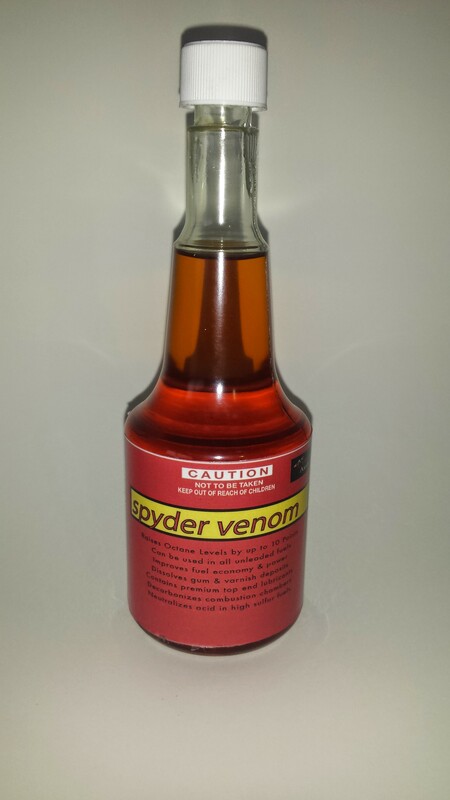 "Spyder Venom" is a locally manufactured premium product; made in Australia for Australian petrol.